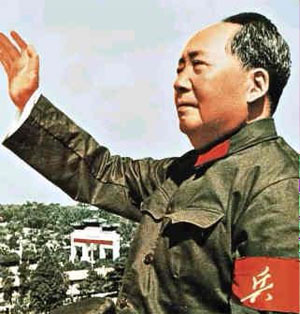 “Power flows from the barrel of a gun” said Mao, and whilst in a time of warfare and insurrection this is certainly true, for socialist organisations functioning within western democracies our understanding needs to be a little more nuanced. At its most simple, power, the ability to direct or influence the course of events, flows from several key interrelated resources: time, money, relationships and legitimacy. Time and money are often interchangeable, an individual who is wealthy or has at their command the wealth of an organisation can hire underlings who’s time can be used to their own ends. This time can be used to have a word in the right ears, to phone round everyone before that crucial vote to argue your case, or to build longer lasting relationships which can be called on at a later date when needed. In this way full time officers in an organisation, even if they have little financial resources, can become very powerful. Their job will often take them across the country, allowing them to make arguments and build up relationships which can then be utilised when the time comes. As employees of an organisation full timers also have a greater vested interest in the direction of the organisation, as certain courses of action could result in them losing their job. This means the full timers not only have the potential to build a lot of power for themselves, but they also have the impetus to use it. So how can we ensure the power implicit in being a full timer is used to further the collectively agreed interests of the organisation? Working within the rules and staying within the accepted culture conveys legitimacy to an officer’s actions. No matter how much time and money an officer has, they are going to find it difficult to get away with blatantly violating the constitution of an organisation, because by default this move is seen as illegitimate. The same can be said of going outside the established norms of the officer’s position. An organisation might not have a rule that its general secretary cant employ family members in their office, but this would none the less be frowned upon and difficult to justify as such a move violates the expectations and democratic culture of the organisation. Clearly however legitimacy is not the be-all and end-all. Most military coups utterly violate the existing constitutions and accepted democratic process of the countries in which they occur, yet with enough guns (ultimately acquired through time, money and relationships) legitimacy becomes unnecessary. Equally in our own organisations, where an individual has enough raw power they can typically override democratic process, however this will always be a risky move. There’s no simple answer to the problem of containing and directing the power of full-timers, but basic oversight such as access to their work diaries, monthly reporting etcetera should be enough to at least keep most of their energies directed at achieving the organisation’s goals rather than their own. Another potential coup-making force within larger organisations are factions. Within democratic organisations factions are often loathed. They have the power to turn routine debates into quagmire and can be hugely destructive to the organisation as a whole. In spite of this, once an organisation gets beyond a certain size, factions are both inevitable and necessary. Without factions, be they formal or informal, it is down to unorganised individuals to uphold the democratic structures and culture of the organisation. If an officer violates the rules its up to individuals to ensure a blind eye is not turned, that rules violations do not become the norm, rendering the constitution redundant. Whilst unorganised individuals may be sufficient to keep an eye on those in power in small organisations, when organisations get beyond a certain size their voice becomes too weak be be effective. This is where factions come in. Those factions that are opposed to those in power have it in their interest to hold those in power rigidly to account. It will not be in their interest to turn a blind eye. In using the power of factions to help maintain our democracy, we need to also have a means of ensuring that these factions do not behave in a destructive manner, placing short term factional interest above the longer term interests of the broader organisation. Again this seems to be a question of creating both structures and culture that can facilitate this. If a branches number of delegates to the decision making bodies of the organisation is determined by the number of people in a branch, it suddenly becomes in the interest of all factions to be the best builders of the organisation, after all, the more people within the branches where they hold sway, the more votes they will get. It is for reasons such as accommodating and using the power of factions to maintain democracy that the structure of a democracy can be hugely important. Additionally we have seen how seemingly democratic methods, such as ballots, may in fact be far less democratic than alternative approaches because they fail to foster a culture of discussion and engagement. Both of these components are necessary for a genuine democracy to take root, to successfully control and direct the power contained within an organisation. With a greater understanding of power an democracy we can create better socialist organisations. Traps that previous socialist groups have fallen into can be avoided and confident in our democracy we can focus on the real task in hand, building power for our class.